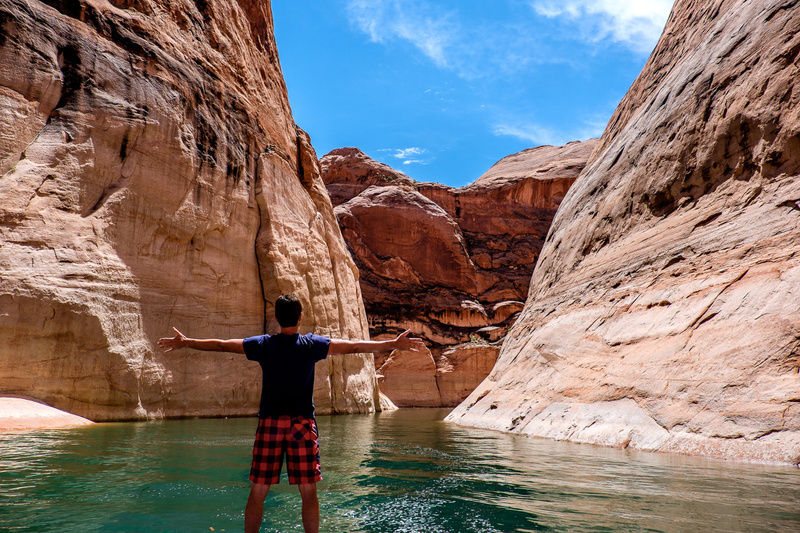 Ruslan is standing by some wallpaper near Lake Powell, Arizona. 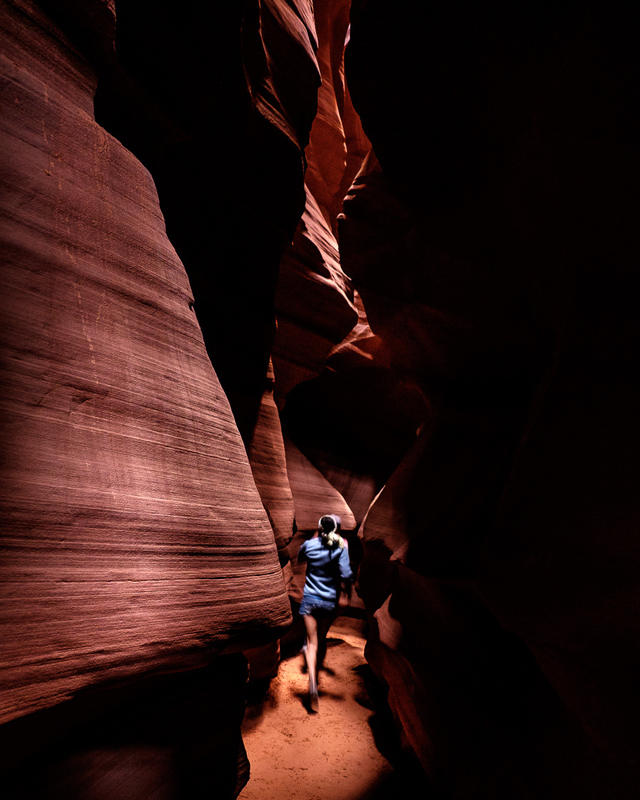 Alla and Tanya are running into the heart of the Upper Antelope Canyon. 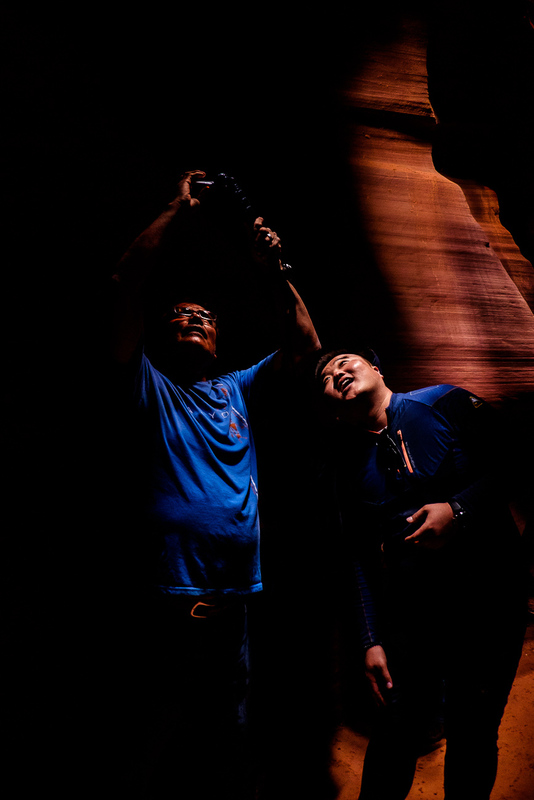 Abraham, a native American guide from Navajo tribe, demonstrates to a Japanese tourist how to take the best photos of the canyon. 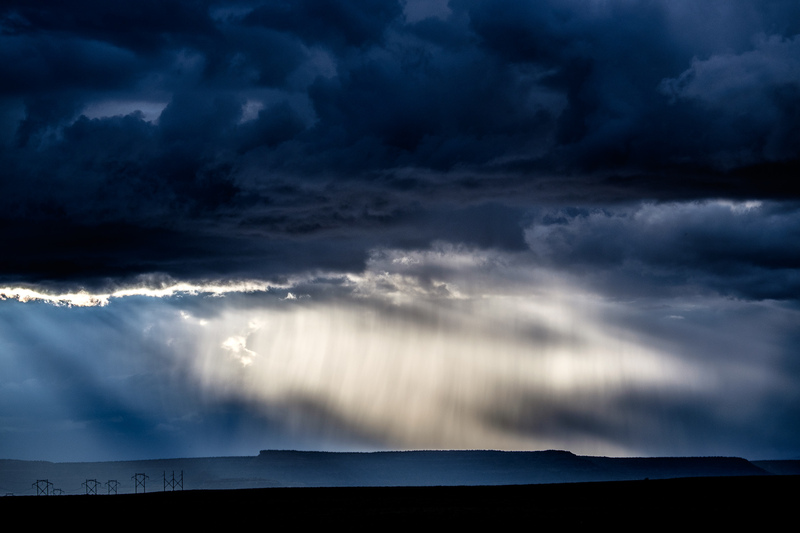 The view from Arizona on the sunlit rain in Utah. This entry was posted in Arizona, Part 1 and tagged CrossCountry Trip, Day 28, Road Trip, Trip US on June 11, 2015 by RusAlka.